A (M)ad Man, or (M)ad Woman, would be anyone crazy enough to be in the advertising/design/marketing business these days. It’s a business in a state of perpetual change. As an ad man (designer/art director), with lots of experience (ie: pre-dates Twitter), I feel we could use a place to talk about these changes here. 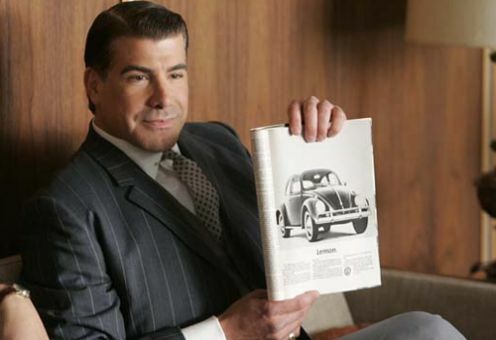 Change that started as early as 1959 when Doyle Dane Bernbach set the ad industry on its ear with the Volkswagen “Think Small” and “Lemon” ads (worked in nicely to an early episode of AMC’s “Mad Men”). Change that is happening daily in our industry, with buzz over the rise of social media and the decline of traditional forms. Change in the roles of men and women, then and now. Personal changes as we age in an often age-discriminating profession. But most importantly, I think we need a place to showcase the power we have to change. Power to change ourselves and our society for good. Sal, the art director on the TV show Mad Men, reacts to VW Lemon ad that creates quite a stir in the ad community as it's a the new, paradigm shift to simplicity and concept.